There are so many opportunities to get work experience and a lot of support to help you along the way. 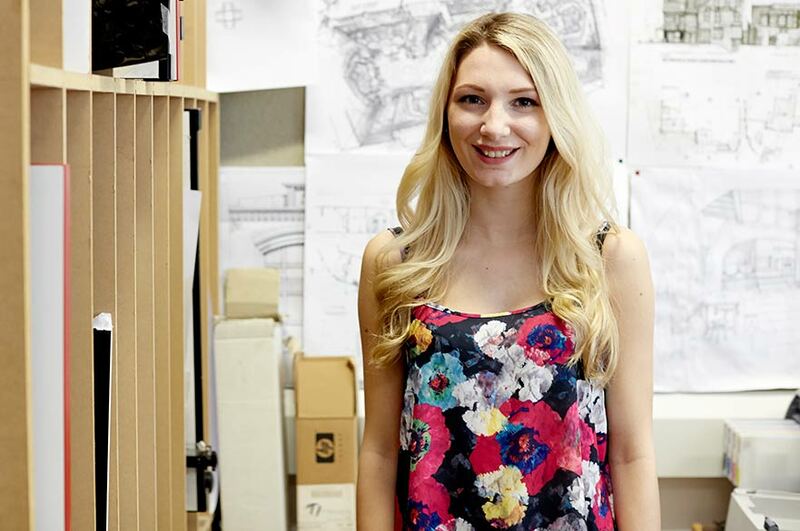 "I chose to study at NTU for many reasons. The course itself really prepares you for life after university, with work experience opportunities and tutors with industry background, also the course has a good reputation in the industry. "As a university NTU appealed to me as it is in a city that has so much to do. Nottingham has something for everyone and I love the vibe the place has. The Students' Union also helped me to choose NTU; it's very student orientated with freshers' week and societies and events geared to helping you settling in to living away from home, and meeting new people." Did you attend an open day? "Yes, I believe it is essential to make a decision as you can see the place you will live and study first hand. My first impression was that the building the course was taught in was a great place and the area itself was nice, with the tutors being very informative. What do you enjoy most about your course, Design for Film and Television? "I love the way it is focused on life after university, with lots of preparation for getting a job. There are lots of work experience opportunities, tutors and guest tutors who have, and current do, work in the industry giving you knowledge firsthand." Can you tell us about some of the guest lecturers you've had visit the course? "We have guest lecturers and tutors all the time from the film and television industry. Our current guest tutor who is helping us with our project is the current designer for Eastenders, which is a great opportunity as he knows what he's talking about and really helps you to improve your work." "The course staff are great as they have all worked in the industry, and all different parts of the industry from TV shows to music videos and commercials, so you get real knowledge for everything firsthand. Not everything can be taught from books." "I love Nottingham as a city as there is so much to do here. It is a very student orientated city and is very sociable with something for everyone, no matter what your interests are." Would you recommend your course to someone looking to study Design for Film and Television? "Yes, if you want to work in the art department of film and television then this is the course. Most people have heard of the course in the industry and many people you work for have also been on this course. "There are so many opportunities to get work experience and a lot of support to help you along the way. You will learn new skills and improve old ones, and most of all you will have fun! "It's a close knit course, and everyone knows each other and helps each other, and there is a great social aspect to it as well." Can you tell us about some of the work experience you've completed? "I've been on a few work placements, and most recently I had the opportunity to do two weeks' experience on the set of Woman in Black 2 at Pinewood Studios which was fantastic. I learnt many skills and improved ones I already had such as technical drawing. I also met some great people who I now have as contacts, so I will get more work from them in the future. "I've also worked on a few other TV series such as BBC3's Him and Her and It's Kevin as well as an Adidas commercial which starred David Beckham. All this came from being on the course and has really boosted my CV." What advice would you give to someone considering studying this course? "Be positive, motivated and have a hunger for working in the industry. A great portfolio is pointless if the person isn't going to turn up to classes or isn't too bothered about their future. Practice your drawing skills and show a broad selection of work, including things you like to do. It's ok to be nervous in an interview, if anything it can show you want it more, but do speak up and show your passion that this is where you want to be."